Effective Ways to Make Income Tax Return Filing Easy - GoodGuysBlog.com - New, Technology, Marketing, Health and So on. Income tax return filing is a very important aspect to be considered for a company in every financial year. It is somewhat a complex task, but various practices are available and it should be incorporated in the in the ITR filing to carry out the process in a smooth way. 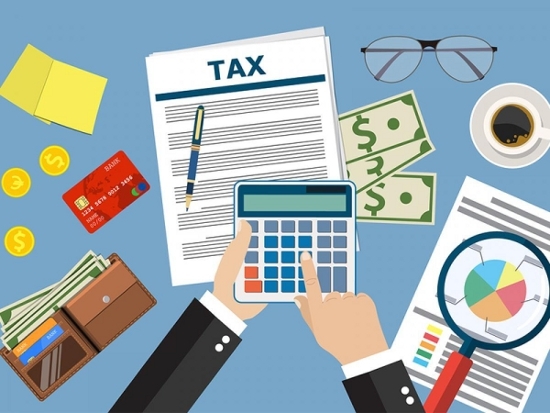 Following article will give you a better understanding and by proper submission of mentioned form details, one can handle a smooth income tax return filing. To mention some peculiar details for this tax filing process, online accounting software helps a lot to gain more insights. The PAN card should be submitted during the income tax return. The date of birth and father’s name present in the income tax return should match the details with the PAN card. At present, Aadhar ID is included as a verification ID everywhere and so Aadhar enrolment number is a mandatory one for income tax return filing. Form 16 is a most important statement and it only has the most important information which is needed to file an income tax return. For every financial year, the employer should provide this form to the employees within 31st may of every year. In case, the employee is worked with more than one employer, then he has the responsibility to collect the forms from both the employers. This form consists of information about the TDS deducted that is linked to the PAN. All the details about deducted TDS from the fixed deposit, commission income, rent, and salary can be easily identified using this form. These deductions can be adjusted from the total tax liability because this is already deducing from the income. Those who are filing should remember to add this in the tax return, and details of income in which the TDS is deducted. If an individual claims TDS but not including the related income, he will receive the tax notice. If the received income is above 50 lakhs rupees after all deductions, then the person has to submit additional details in the income tax return. Those details are movable and immovable assets, jewelry purchased, cash in hand, and liabilities (if any). These are the details which must be declared in the income tax return filing. Bank account details should be included mandatorily in the income tax return filing. Dormant bank account details are not necessary to be mentioned in the filing. The saving bank interest amount credited to the account in the considered financial year should be included in the return. According to section 80TTA, saving banks interest amount up to 10,000 rupees is exempted from the tax. Online filing eases the process of work by reducing the chances of errors in the documentation. Returns are checked electronically and so that mistakes can be easily identified before submitting the return. Refund return can be filed only through online and not through hard copy. Also, a tax return with gross total income exceeding Rs.5 lakhs should be filed online. Mostly everyone holds fixed deposits and other accounts in the bank for savings and also by post offices also. These entire amounts earn some interest income. This interest should be included in the total tax income and tax must be paid for this amount only. This is known as TDS and is deducted at nearly 10%. TDS is not deducted for savings account interest, though it is completely taxable. So based on the norms, the interests earned should be properly included in the tax returns. By this section, one can claim amount up to Rs.1.5 lakh. If a person is not invested in PPF, NSC, he can avail 80C limit with life insurance premium, school fees, EPF, and also principal repayment on home loans. Based on the investments and expensed made in the financial year, this form can be claimed. Many taxpayers are investing their income in the stock markets and in some situations they are facing losses and not reporting in the return filing process. Short term losses on listed equity can be set against the capital gain. And so, unadjusted losses can be easily carried forward. It helps a lot to return the file on time. Under section 89(1) of income tax act, if a person is receiving arrears for salary or pension, then he is eligible one to claim tax relief. For the one who is ready to claim, he should be sure to file the form 10E online in the tax department site. Taxpayers who claimed this relief, but failed to fill the form 10E will be likely to receive notice for non-compliance.